SMA 2.9 also called "K" or "2.92 mm" connector was developped in the 1980's and is standardized per IEC 61169-35. Intermateable with SMA and SMA3.5, SMA 2.9 is used for test and measurement and for high frequency microwave modules. 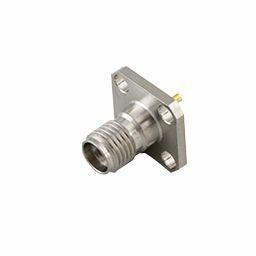 The range includes some SMA 2.9 connectors specified up to 46 GHz.